Welcome back to the Green Rush! This week is Part One of our special broadcast from the floor of the Marijuana Business Conference in Las Vegas. At the mid-November conference, Lewis and Anne took to Podcaster’s Row to chat with a number of guests to discuss the growth of the conference, the excitement of the industry as a whole and get the low down on what’s coming up next for the burgeoning business of cannabis. 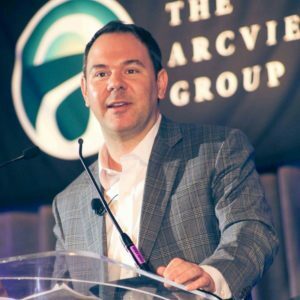 For Part One, we first have Lewis and Anne’s conversation with Troy Dayton, Founder and CEO of the ArcView Group – an industry investment and research company, that provides financing for cannabis related businesses and projects through its network of investor members. In addition to leading ArcView, Troy is also an elected board member for the Marijuana Policy Project and a founding board member of the National Cannabis Industry Association and co-founder of Students for Sensible Drug Policy. 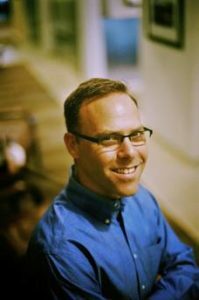 In the second half of the podcast, Lewis and Anne sit down with Kris Krane, President of 4Front. After initially founding 4Front as an advising firm back in 2011, Kris has transformed the company into a leading retail and brand development company and helped the company develop a national platform that consists of a multi-state footprint, including its Mission branded retail operations. In addition to running 4Front, Kris also serves on the National Cannabis Industry Association board of directors and pens a column about the cannabis industry for Forbes. The conversations with Troy and Kris are slightly shorter than our average episode but are jam packed with information and observations from two of the brightest minds driving the future of the cannabis space. Troy is an elected board member for the Marijuana Policy Project and was formerly their top fundraiser and lead liaison to the legal cannabis industry. He is a founding board member of the National Cannabis Industry Association and co-founder of Students for Sensible Drug Policy, which is now on over 200 campuses. Troy also helped launch and served as the first sales director at Renewable Choice Energy, which was recently named the #1 green power provider by the EPA. He was recently named by Fortune Magazine as one of the top 7 most powerful people in the cannabis industry. In his spare time, Troy enjoys karaoke and the Burning Man festival. Having founded 4Front Advisors in 2011, Kris now serves as president of 4Front. Prior to forming 4Front, Kris served as director of client services for CannBe, a pioneer in developing best practices within the medical cannabis industry. Kris has dedicated his career to reforming the nation’s misguided drug policies, having served as associate director of NORML from 2000 to 2005 and executive director of Students for Sensible Drug Policy from 2006 to 2009. He currently serves on the National Cannabis Industry Association board of directors and pens a column about the cannabis industry for Forbes. This episode was hosted by Lewis Goldberg and Anne Donohoe of KCSA Strategic Communications at MJ Biz Con in Las Vegas.